Eugene Atget was a late 19th and early 20th century photographer in Paris. 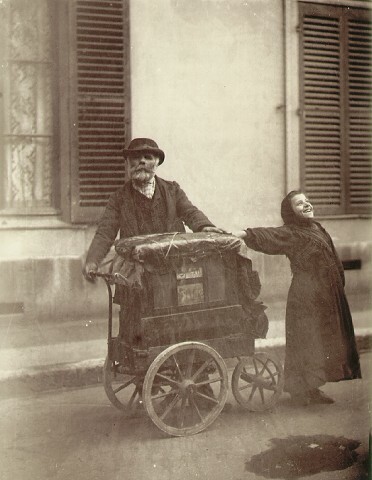 He’s interesting to me because he captured scenes of the old city (winding cobblestone streets, small tradesmen, basic daily living) at a time when it was slowly being demolished and replaced with something new (grand boulevards, colossal department stores and the like). 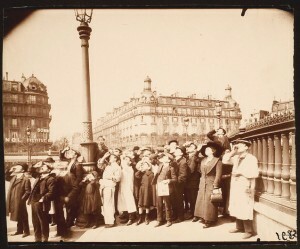 For all the reading I’ve done about that time period, these pictures bring the City of Light to life for me in an entirely different way, giving it a slower, sweeter pace than I’d find in an account of Haussmann’s reconstruction, a tale of the bloody Commune, or a glitzy recap about opening night at the Palais Garnier. 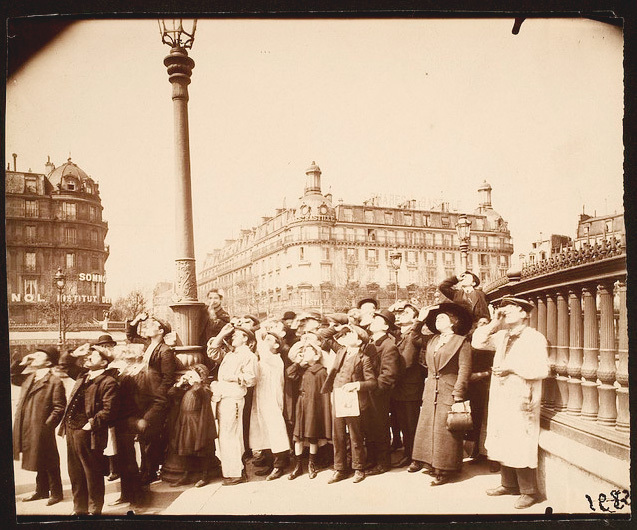 Atget’s technique was interesting to artists such as Man Ray, Pablo Picasso and Henri Matisse, all of whom championed his work. He took his pictures with a long exposure, which gave his snapshots an unusual depth. 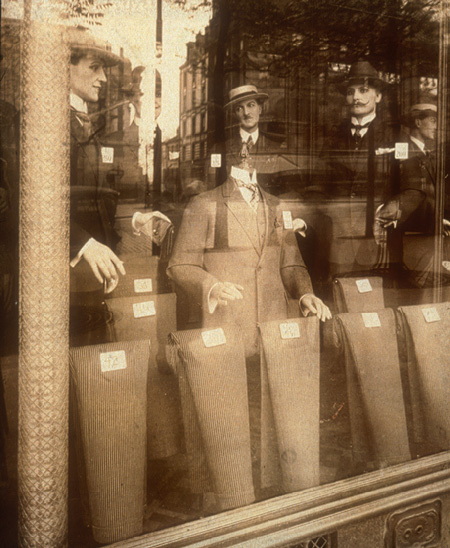 So in the shop window pictured above, you not only get the suits and the mannequins, but the reflection from the trees and buildings outside and a feel for the big new avenues that sliced through the city. The old was still there, if you looked for it. Atget looked for it, and preserved what he could. And as a nostalgia dork, I can appreciate that he tried to capture as much of the city’s vintage charms before they faded away.